People often don’t think about taking care of their air conditioner until it breaks down, but air conditioners need love too. Just like any major piece of equipment, you should have your air conditioner tuned up once a year. Don’t believe us? Take a look at the Top Ten List Below, then pick up the phone and call us already. 10) No one likes an air conditioner that is out of tune. 9) Tuning up your air conditioner will actually save you money on your utilities. Everyone loves money. 8) Tuning up your air conditioning and help save the world, one fossil fuel at a time. 7) Improve the quality and length of the life of your Air Conditioner by tuning up your air conditioner. They have lives too. 6) You wouldn’t drive your car forever without getting a tune-up would you? 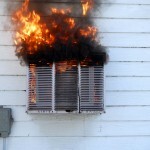 Don’t leave your air conditioner feeling neglected. 5) You get sick when you don’t care of yourself. Give your air conditioner a chance to enjoy a healthy summer. 4) Be a Hero. Save your family from a broken air conditioner during the hottest part of the season. 3) Don’t Be Sweaty. Doesn’t need elaborating. 2) Be Clean. Dirty air conditioning recirculates dirty air. 1) You get to spend time with us. Pick up the phone and arrange to spend almost one whole hour with a quality technician at Air Specialist. Make the most of it and ask him deep, thought-provoking questions. He might teach you something!